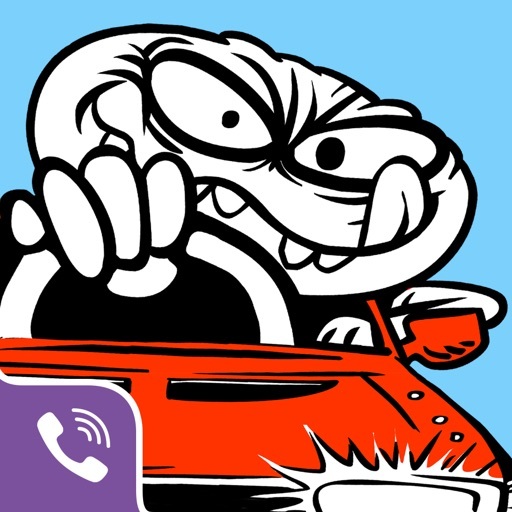 Viber Rude Rider per Viber Media SARL. 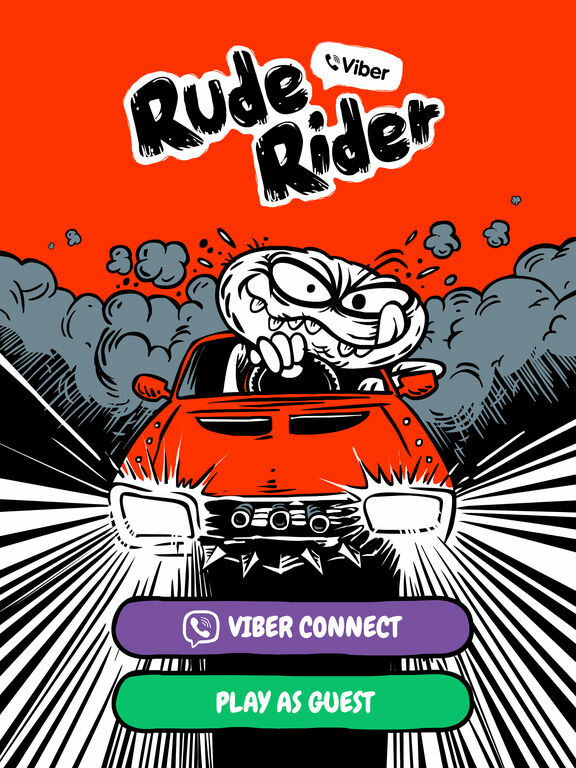 DOWNLOAD VIBER RUDE RIDER FOR FREE! Got a need for speed? 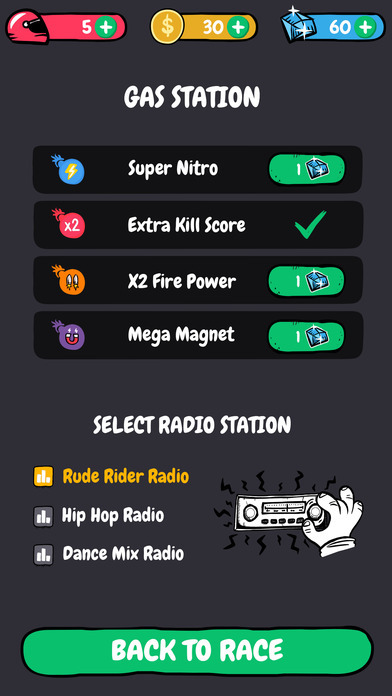 Viber Rude Rider is a free-to-play action packed racing and shooter arcade game. Expect sarcasm, taunting, and insults from Rudy, the crazy driver. 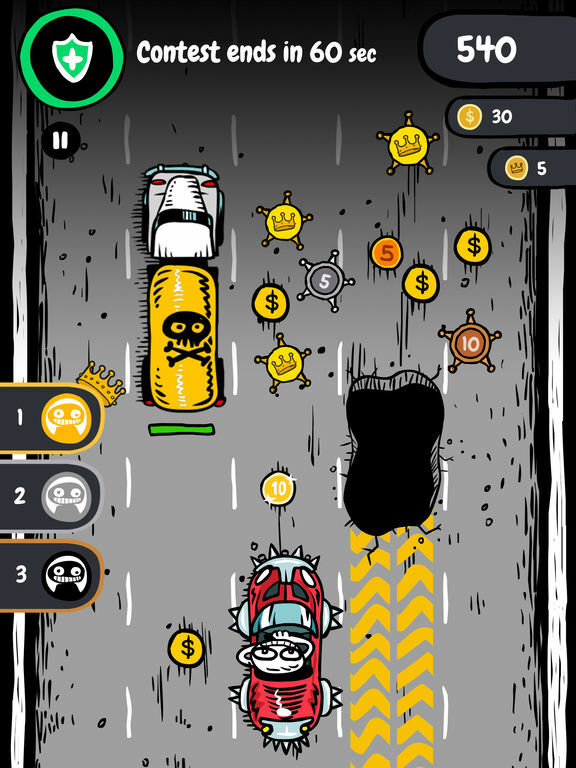 Collect as many Coins as you can as you race through traffic and blow up other cars and obstacles in your way. 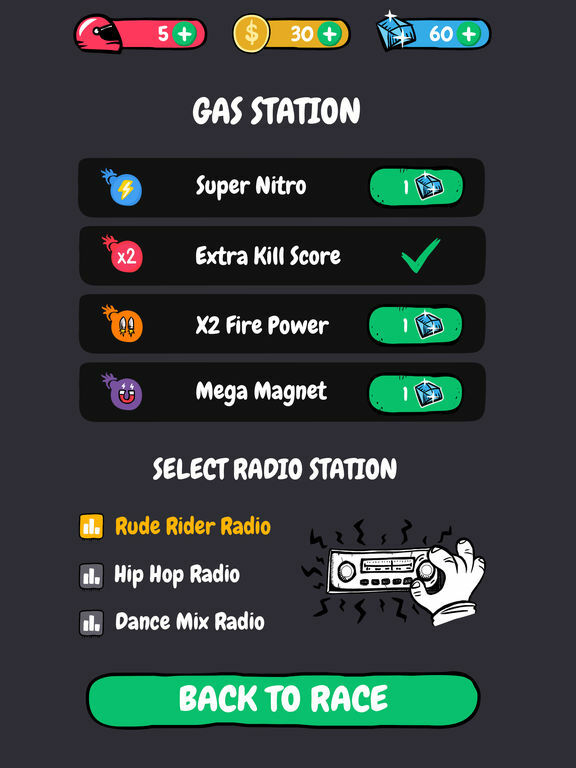 Use Coins and Gems to upgrade your car and Weapons. • Collect Coins while shooting any and all obstacles in your way! 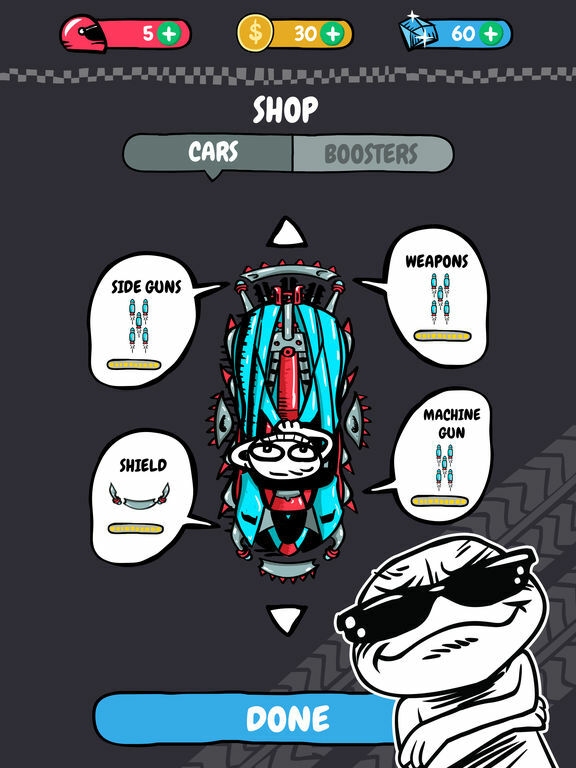 • Customize your car: use Coins and Gems to upgrade Boosters, Weapons, and Shields! • Collect Boosters to drive at super-speed, get more Coins, double XP, and more! 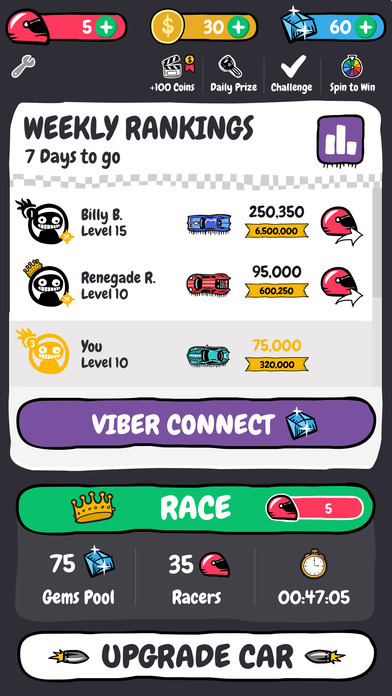 • Compete with your Viber friends! Race to the top of the Leaderboard! • Complete Challenges and win extra Gems! • Come back every day for your Daily Bonus Keys! Compete in the King's Race and collect King Coins to shoot up the rankings. The further you race ahead and the more King Coins you collect, the better your score will be and the more Gems you will win. Compete with your friends and the world as a whole to be crowned the ultimate champion, the King of the Road! Enjoy the rudest, crudest racing shooter game around! 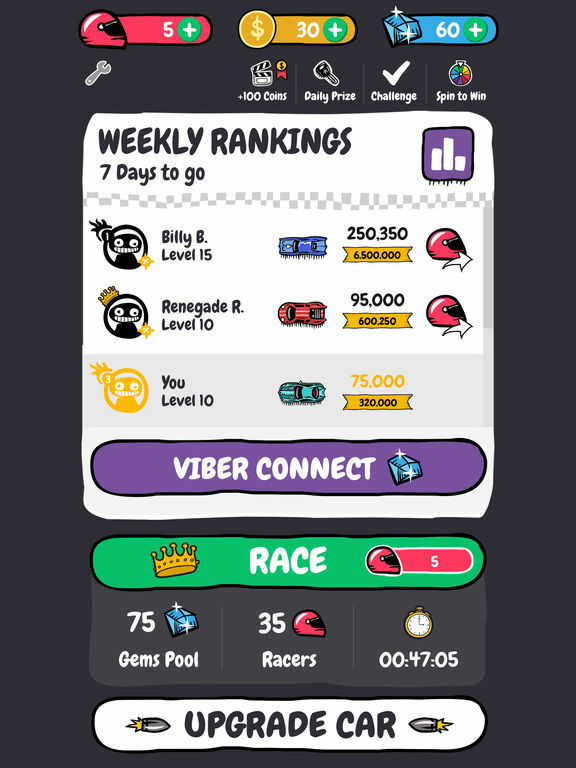 - Join the competition to RACE your friends in REAL TIME! - Get crowned KING of the road and WIN Gems!